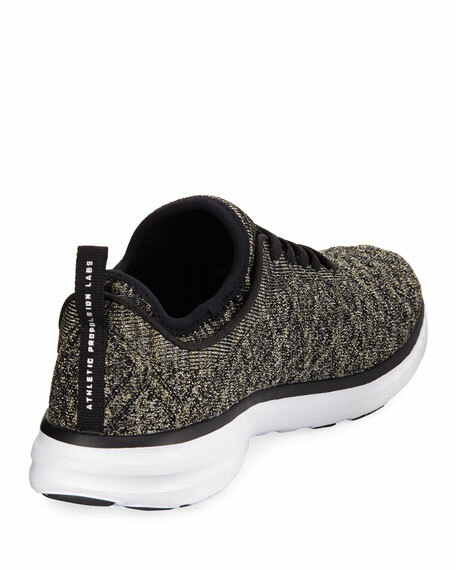 Three-dimensional multileveled woven upper features dynamic stretch to move with your feet whether in the gym or on the street. APL: Athletic Propulsion Labs "Phantom" knit sneaker. 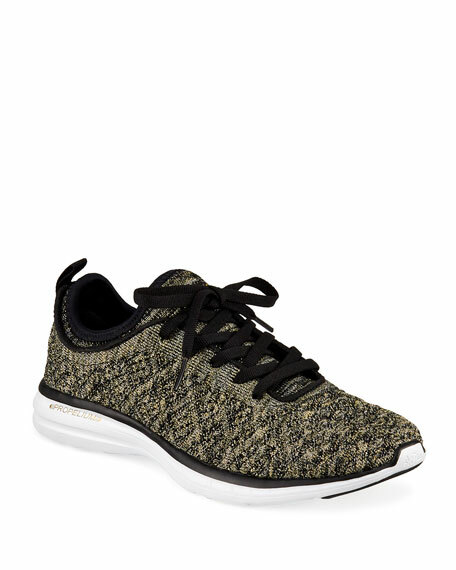 adidas by Stella McCartney sneaker in breathable Primeknit??. 1.5" flat heel. Reinforced round toe. Lace-up vamp with logo pull-tab. Mesh side panels. Padded footbed. Responsive Boost midsole. Rubber outsole. Imported. Sizing note: adidas shoes run large. We suggest that you order a full size smaller than you typically wear. 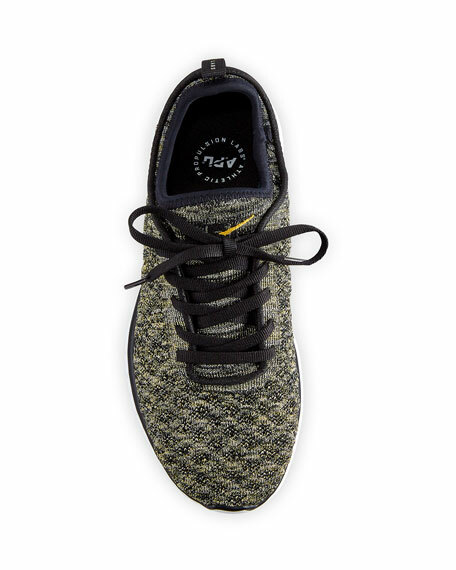 adidas by Stella McCartney sneaker in Primeknit?? fabric upper. 1.5" flat heel. Reinforced round toe. Logo pull-tab at heel counter. adidas by Stella McCartney sneaker in Primeknit?? fabric upper. 1.5" flat heel. Reinforced round toe. Logo pull-tab at heel counter. Slip-on style. Padded footbed. Boost midsole. Rubber outsole. Imported. Sizing note: adidas shoes run large. We suggest that you order a full size smaller than you typically wear. Adidas stretch-knit sneakers with suede cage. 1" flat heel. Reinforced round toe. Lace-up front. Pull-tab at tongue. Padded footbed. Rubber sole. "Edge Lux" is imported. Sizing note: adidas shoes run large. We suggest that you order a full size smaller than you typically wear. adidas PureBOOST knit fabric trainer in sock-like construction. Reinforced, round toe. Lace-up vamp. EVA midsole inserts for lightweight cushioning. Boost?? adidas PureBOOST knit fabric trainer in sock-like construction. Reinforced, round toe. Lace-up vamp. EVA midsole inserts for lightweight cushioning. Boost?? midsole keeps every step charged with light, fast energy. 1.3" rubber outsole for traction.